If you own a handgun, it’s second nature for you to have a container to stow it away from the public eye. Of course, a weapon shouldn’t be brandished around for everyone to see. That’s why concealed weapon carry has been prevalent. Due to the necessity, most weapon manufacturers have been producing gun holsters for every type of pistols, revolvers and tactical handguns for a long while now. Today, you don’t need more than one holster to carry your guns. You only need a simple, highly practical, multipurpose holster. Belly band holster is all and exactly what you need. 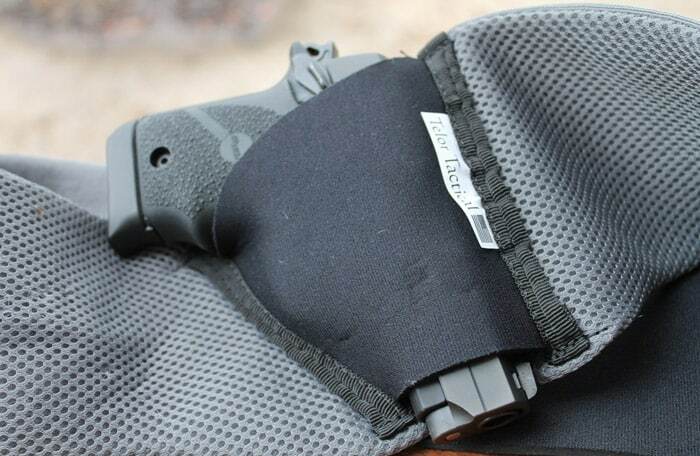 In this article, we will list to you the different types and how the best belly band holster can one-up them with a short review. How to Choose Right Belly Band Holster? The Kaylle Belly Band Holster is also among some of the best belly holsters I have ever been used. Durable, simple and convenient, this is my first impressing about it, and all of them suit with a personal favorite. The affordability factor is also quite surprising for a belly band holster made of a high-quality material – material. The fact that the holster is very flexible with the stretches to fit up to a 45″ both for men and women. If you a big guy, they also have XL size version for you. It also designed to provide the shooter with the freedom and conceal your weapon in the most efficient way possible. You can wear it underneath a t-shirt or a shirt without any worrying about divulgation. The Kaylle belly band holster can be worn it in many positions, such as inside or outside the waistband, cross body, behind the hip, small of the back, and even high up like a shoulder holster. 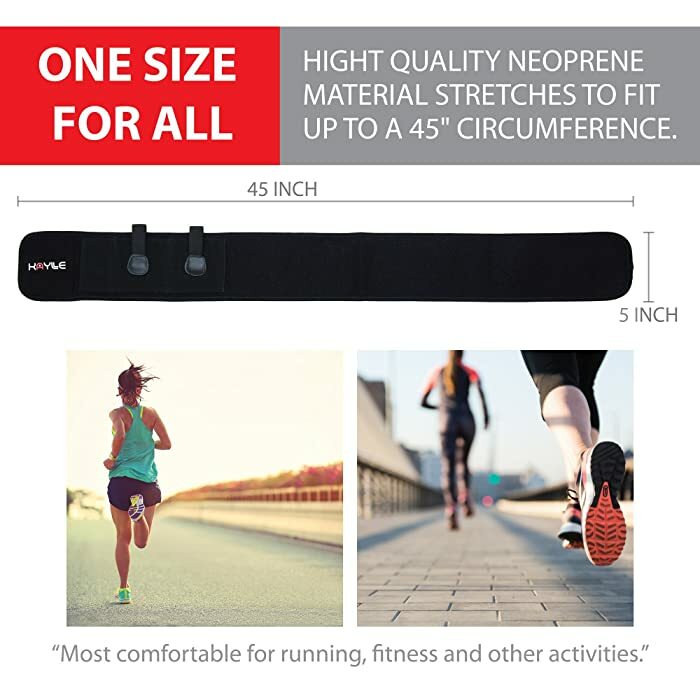 It is perfect for any activity the owner may undergo, for instance, running, hiking, jumping. The holster has a smart design which retention strap made by magnetic snap instead of a metal clip. You can draw your gun quickly with using only one hand, and the gun will never jostle out because of these physical activities. Moreover, I extremely like the waterproof, and a million micro hole on the surface which lets your skin breathe freely, limit sweating. When you started using it, you should take a few hours to break it in by hands, after expansion, it becomes more comfortable to wear. The Kaylle band holster is one of the best belly band holsters for the money, and you may find that you’ll use it more than you anticipated. It fits most small, subcompact, compact, middle sized pistols with 2″-4.5″barrel length, e.g. 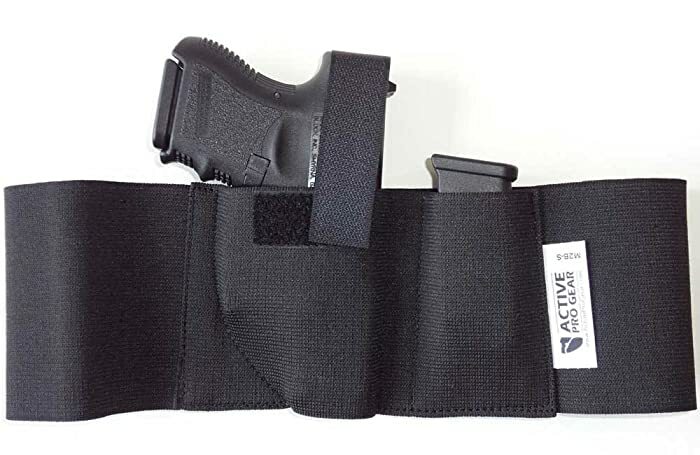 This holster is made by Active Pro Gear and can be considered as one of the most popular brands when it comes to belly band holster. First off, the size of the guns that you can fit here is from medium to large. Two hand orientations sell the holster, so this is not for ambidextrous people. However, you can position the pocket anywhere around your waist with no problems. The elastic band material is shown to stick to your skin without causing comfort. It spikes up the concealability of your gun and Defender is doing a good job. However, if you’re sweating too much, it is recommended that you wear the holster over an undergarment. This is a favorite for most buyers as you have the option to buy extra thumb breaks or extra ammunition pockets. In fact, though it may add to the price, you can carry one more gun with you. Please note that this holster comes in only one color, which is black. Defender offers the user relatively quick draw of the gun. But if you add the optional adjustable Velcro thumb break, know that your draw speed might be decreased a little. This USA-made belly band holster comes in two colors: black and tan for every gun owner that has a thing with colors. Elite Survival Systems made this holster, and you will soon discover that this holster is one of the elites too. This product had ergonomics and concealment deeply thought. Its band material is made of latex free elastic. When it comes to the pockets, this one has a lot of them. There are two main pockets for the firearms located at your left and right hip, respectively. The first one is close to your dominant arm and the other if you wish for a cross draw position. Then four back pockets can be filled with spare magazines or even a flashlight. The belly band holster is worn with its detachable front placed in front. Now it’s easy for you to remove and attach the holster every time. As the pockets are strategically placed, know that this product is for everyone or ambidextrous. The Core Defender caters users who range from small to extra-large body frames. As the band material can be too thin, it is recommended that you wear undergarment under this one. Also, placing large handguns can be a little too tight with the two holsters, so small to medium size pistols are the limited choices. This holster was made smartly as it values both standard and security. The back part is indeed valuable for pockets as you can store spare magazine and other small items. Also, it can be ordered by left-handed or right-handed though there are configurations for the ambidextrous. The belly band holster is made of elastic and can be easily fastened up by the detachable Velcro strap. Deep concealed crotch is worn over your lower undergarment, so it stays more securely. Last on our list is the belly band holster by Vedder. 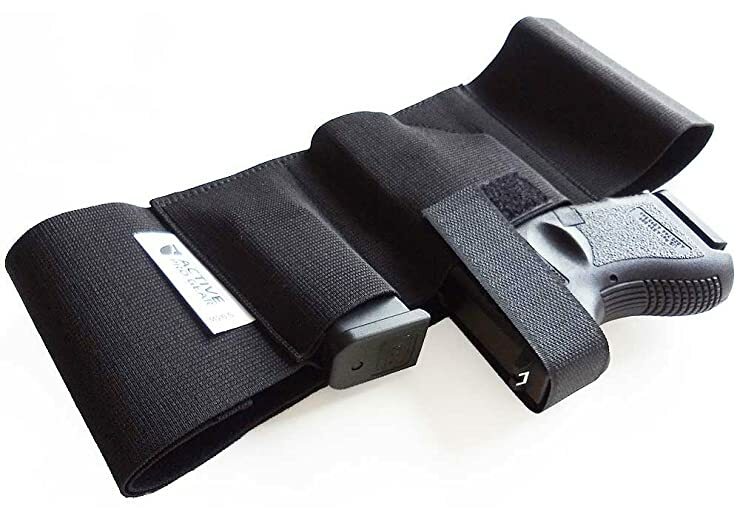 Most belly band holster users with years of experience can agree that this four-way belly band gun holster is all about comfort. Indeed, when you wear it, you feel security and stabilization that your gun is safe with you and won’t drop from its holster. It was designed to stay on the hips for added comfort. There’s no limit as to what gun sizes is applicable for this holster, so small to large handguns would not be a problem. The holster is designed for medium waistlines starting at 33 to 38 inches, so the size is relatively limited. Once you started using it, it may take a few hours to break it in and make it conform to you. This holster is proved to be ambidextrous as how the main pocket for guns was designed. Furthermore, you can rotate the band holster as you see fit. It takes a gun owner a real research on what kind of holster he should get and how fitting is it to conceal the gun under the set of clothes he wears. Gun holsters are specially made for people who need to make their hands free and store the weapon at a place where one would feel most secure – attached to his body. This way, you don’t always have to carry a gun on your hand that may warrant police prying and still have it safe, secure, and readily accessible. In choosing what type of gun holster you should buy, you should first consider the model of the firearm you own, along with its size. Moreover, you must also take into account the kind of activity you do most. If you’re a police officer, there’s no point of having your weapon concealed unless you are doing undercover or off-duty. For military men and police officers, belt holsters and shoulder holsters work best. Men in uniform commonly use them. They’re not used for concealment as it’s not required in their line of work but should be readily accessible and secure the gun from falling or snatched away. Another way of using belt holster is by wearing untucked top. They are attached to the belt by clips and worn inside the user’s pants. They are widely popular as you can position it at any side of your waistband. The design is similar to the straps of a backpack. There are adjustable straps, and the holster is placed wherever the user sees fit. 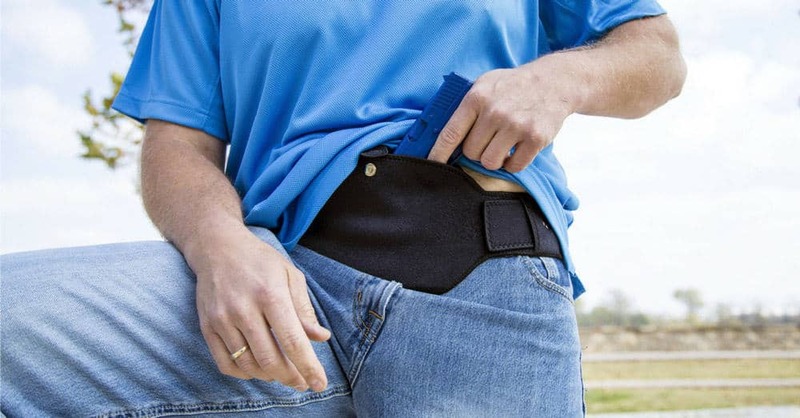 It’s good for those who doesn’t want to carry the gun on their hip and can easily be concealed with a jacket. It’s given that the weapon’s weight is evenly distributed providing more comfort than concentrated on one area. As the name implies, the gun is positioned at a person’s six o’clock or your back. This holster is good for large handguns but could cause uncomfortable feeling when you’re sitting or driving. Placing your gun attached to your thigh if you’re wearing skirt or shorts is a good idea to make it hidden. Also, the thigh part is closest to your hand, so it facilitates faster draw of the weapon. This is restricted only to ladies and with the proper fit, one can easily carry a gun concealed as it’s attached to your undergarment. This holster positioned at your ankles is readily available if you’re in a sitting position and can be easily concealed with your long pants. Most gun owners place their secondary weapon there for backup. But there are times that the gun isn’t safely secured and can fall out when you’re running. 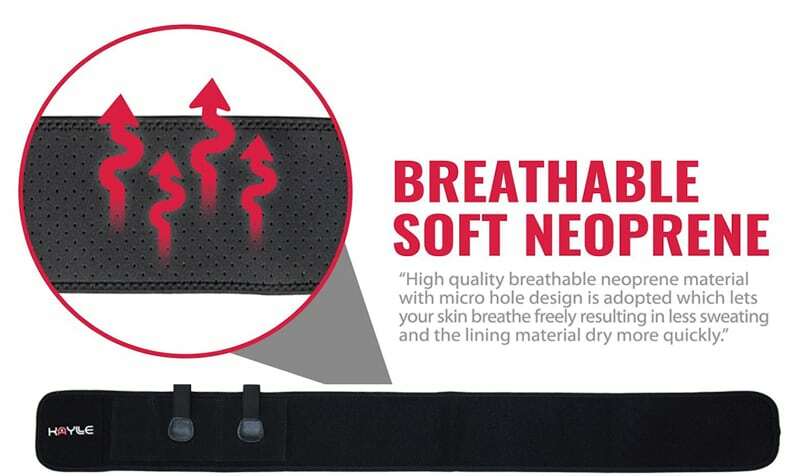 Simply put, a belly band holster is wrapped around your body with Velcro tape or durable hard hooks. It is made of elastic band material and has other pockets aside for the gun. The extra pockets are used to store spare magazines and other small items. Most gun owners can agree that belly band holsters are very useful in concealing the firearm while staying attached to the owner’s body. They are perfect for any activity the owner may undergo, for instance, running, hiking, jumping. The holster is designed in which the gun will never jostle out because of these physical activities. 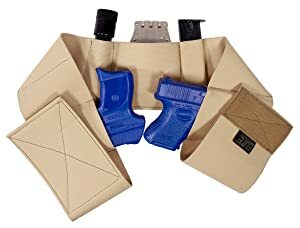 Gun manufacturers saw the need for the belly band holsters as they can be worn under light clothing for men and women, and if the shoulder or waistband holster isn’t good enough to conceal it. Not all holsters are good for any wardrobe. Take for example the shoulder holsters. To function as a concealed carry, the person has to wear a jacket. But wearing jackets on a hot summer is out of the question. Gun owners have a problem with buying different holsters to suit the model of the gun they’re using. But this issue is negated by a belly band holster as you can insert any size of a handgun into its pockets. 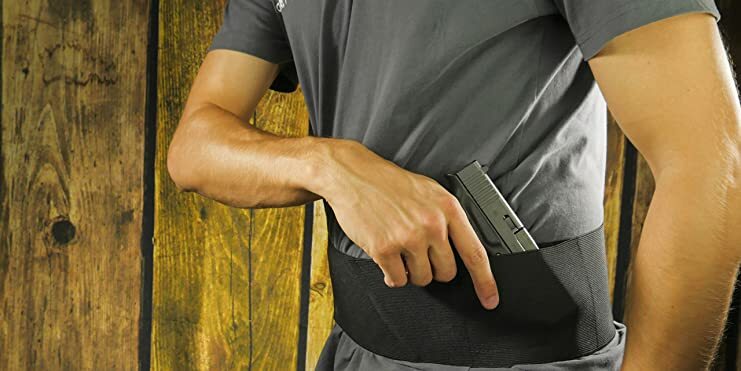 Belly band holsters are indeed multipurpose, from storing handguns to extra ammunition or flashlight. When it comes to disadvantages, belly band holsters have a few. First is that the band material isn’t up to the job of wicking sweat, so if you’re not careful, you can make your gun rust due to moisture. If that would be the case, remember to wipe the sweat off your gun after a hard activity. Second is that the holster is made of band material and should always be tight at the waist area. It may cause people discomfort and itchiness especially is the fit is not right. Others have a solution of wearing an undershirt and then the belly band holster but during scorching days, it’s not ideal to have many layers of clothing. For most holsters, the holster should be able to accommodate the size of the handgun so it wouldn’t wobble or shift positions while being hidden. Such movement of the handgun as if it’s not fit to the holster could cause discomfort. Luckily, you have minimum problems with a belly band holster. Knowing the size of your waist can be applied on how wide the holster you should buy. Sure, some holsters don’t have specific sizes like a fit to all but some other belly band holsters start at M-XXL. Every ideal holster should have retention devices so that the gun can’t be easily snatched away by someone else. Also, a gun with good retention is a great help when you do taxing physical activities such as running. Your gun is but a bulky accessory if you can’t pull it when you’re threatened. Of course, slow draws won’t be able to cut it. So, what you need is to have the speed to reach the holster and draw the gun fast. Thankfully, belly band holsters won’t be a problem in this aspect. Holsters are made for safe keeping and then concealment. If your holster can’t properly conceal your firearm, that one isn’t good enough. Your comfort while wearing the holster should be your priority when choosing from a wide selection of belly band holsters available. Be cautious of the band material as it may be made of poor quality and can cause excessive discomfort due to itchiness and may not last a long time. Belly band holsters’ prices depend on the brand, material, and purpose. You may find a holster that is priced low but can serve your needs. It’s not like it’s bad to buy expensive ones, but if you have the budget for it, then OK. Expensive things equate to their high-quality and are long-lasting. Elastic is the material that composes the belly band holster. It is, of course, stretchable and conforms to the body once you break it in. However, it has a tendency to stretch over time from daily use, and you would find out that it doesn’t fit you anymore. A belly band holster is simply worn around your waist connecting the ends with Velcro or metal clips. Moreover, most holsters have Velcro but some others also have metal clips to join both ends of the holster. There were instances that the metal clips had become loose causing the retention to drop. Velcro strap negates this, however, if you’re trying to adjust the holster in a quiet area, the noise by the Velcro could be a giveaway to your position. 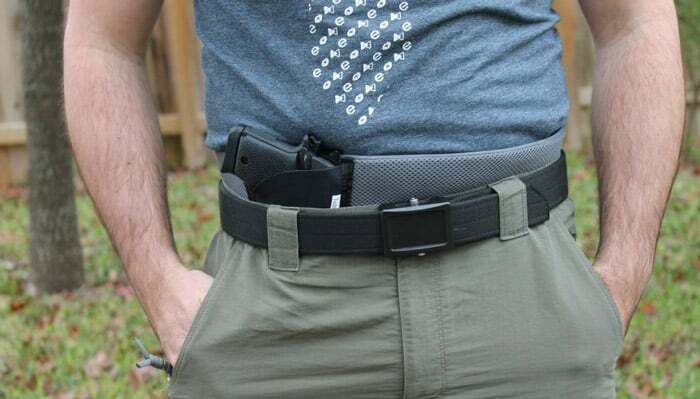 As this is a holster specialized in concealing a firearm, of course, you will need to wear loose fitting shirts and other tops, and if you can, leave it untucked. Don’t forget that the mechanism to access your gun from the belly band holster is by lifting off the mid-section part of the shirt first. You can easily acquire the best concealment you are looking for using the best belly band holster. As it comes in many sizes and different materials, it’s up to you on what band holster would fit best according to your body measurements, gun size, and of course, your preferences. Who the hell wrote this review ?? English is DEFINITELY not your first language ! And if it is…. your teachers are rolling over in their graves ! After reading this review I have decided I can’t trust anything in it. Makes me feel an Asian person who knows a little English is trying to put one over on the audience. Your comment was cruel and unnecessary. Does the author’s name, “David Ferraro,” sound like an Asian person’s name? I think not. Please be mindful, that the author is conveying a message and that is what we need to hear. Personally, I thought it was well written and provided a great deal of information. 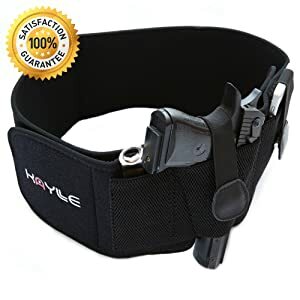 Thanks for your advice, i bought a kaylle belly band holster. I love this holster it much more durable than the other one. It is comfortable to wear too, and has a nice type of material that is not irritating or uncomfortable. It has a softer material than the flimsy elastic ones. I love to wear this when I walking . I have two belly Band holsters.. One is by Blue Stone….however has a serious defect. The velcro strap used to secure the pistol is a straight strap running down the outside of the holster. When worn, the strap is captured by the belt or pants and hard to remove….could be not good in a confrontation when seconds count in drawing the weapon…..My other also has Belly Band name has a fast breakaway snap, easy to access on the outside of the pistol. 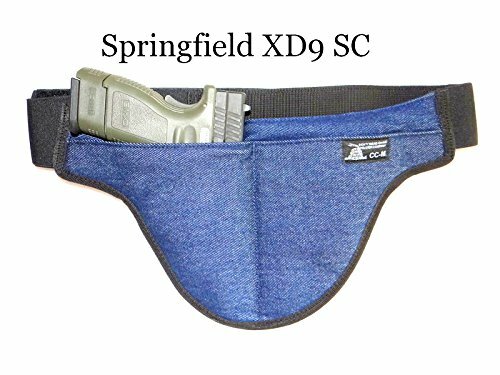 The Blue Stone I find more comfortable although only space for one spare mag… when selecting a belly band holster check out the Velcro retaining strap for access to the pistol…other wise what’s the sense of wearing it when it may be too late to deploy. I carry a Kimber Ultra Carry 45.